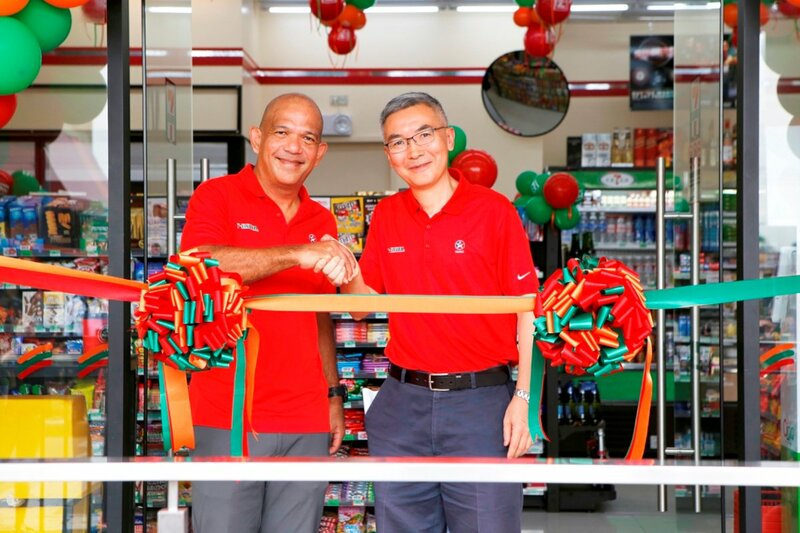 The newly opened store, which brings to 2,209 the total number of 7-Eleven stores in the country, is expected to further accelerate the aligned growth prospects of PSC and CPI for the coming years. Both PSC and CPI vowed to continue innovative efforts to deliver products and convenient services that will enhance overall customer experience. Louie Zhang, the new Country Chairman and General Manager for Philippine Products of CPI, said he is pleased to witness the milestone occasion that reflected the successful and enduring collaboration between the two leading enterprises. For his part, Jose Victor Paterno, President and CEO of PSC, congratulated the team-up of PSC and CPI, acknowledging how it revolutionized the brand of convenience in the country while strategically leveraging the marketing and retail strengths of both organizations. He said the two organizations continue to share a commitment to serve and provide services for customers: from everyday passersby to motorists in the metro as well as in key provinces and cities in the country. The creation of the 7-Eleven-Caltex store format, according to Paterno, has spawned greater convenience features that allow consumers access to round-the-clock services and grab-and-go food, grocery supplies and fuel refilling; all in one strategic location. In line with its 2017 expansion target, Medina revealed that the company will continue to scale up its store network with the opening of 25 more 7-Eleven-Caltex branches in the provinces, specifically in the Visayas and Mindanao. These new territories, according to him, will further cement 7-Eleven’s dominant presence across the country. “The company, which is deeply motivated by this milestone along with the momentum that came about from other significant ventures in the recent months, is positively looking to add more stores. The new territories that will open up hopefully by next year include Region 2, Mindoro (Calapan) and Tacloban (Ormoc),” said Medina. PSC currently operates 1,031 corporate stores and 1,178 franchise outlets.